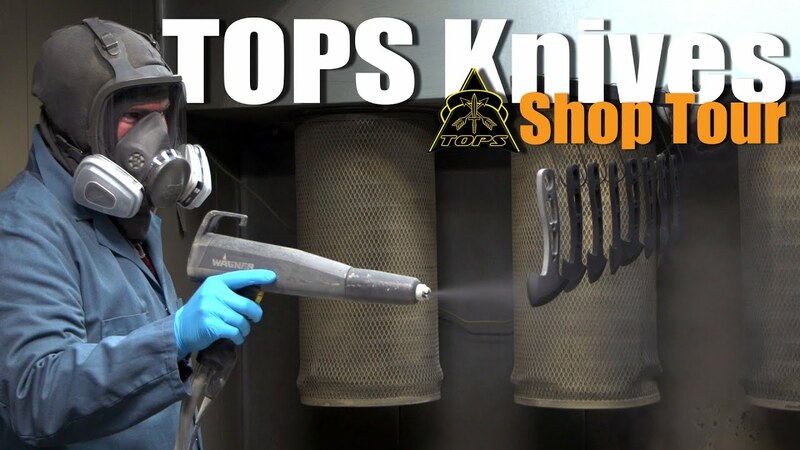 TOPS Knives are tools designed and built using the extensive knowledge and real-life experiences of operators with backgrounds in military, LE, outdoor professions, and martial arts. All TOPS fixed blades are designed and hand-finished at TOPS' facility in Idaho Falls, the heart of the Rocky Mountains, USA. Since 1998, TOPS KNIVES have been requested and deployed in many 'hot spots' around the world. Numerous individuals who are currently active field operators use our knives extensively in the field. he Quickie is made for people who live in an increasingly uncertain world. Designed with law enforcement in mind, it’s a “3-finger” karambit, meaning the 3rd finger away from the blade should be placed in the hole. The Quickie was designed for concealment and ease of use. It’s 1/8” thick with a low profile sheath and clip.. It’s short length aids in concealment as well. So whether you’re on or off duty, the Quickie is a great back-up option for self-defense. The Operator 7 is huge! We went big with thick steel and handles to make a hefty, well-balanced knife that will excel as a workhorse tool. But it also has those classic American fighting knife aesthetics that make it look every bit as good as it will perform. And with the insane popularity of the original, this Blackout Edition was sure to follow. Made out of 5/16" thick 1075, the differentially heat treated blade will be impact resistant on the edge with a very strong spine. The handles start with Black Canvas Micarta on the bottom sandwiched with Black G10 on top that has a great texture for grip. The entire handle is also over 1" thick once assembled to fill out the user's hand much like an ax or hatchet handle would. Because it is a tool, it’s got to be useful and it's got to be comfortable. It's made for the men that don't back down. This knife will find its place with door kickers, survivalists, and weekend warriors alike. The rounded handles and hand guard make it a joy to use and the finger choil allows the user to get great precision for finer cuts. The six and a half inches of cutting edge will suffice for the vast majority of cutting tasks, and the weight will help the knife to a lot of the work itself. The included Kydex sheath with rotating spring steel clip makes it easy to carry into whatever territory you find yourself. Every year, TOPS’ President Leo Espinoza makes himself a knife for hunting season. This tradition is something that helps him maintain his creativity by making something that is specifically for him, not for the general public. Sometimes, however, that knife ends up being a TOPS model. Knives like the Viper Scout, White Fang, and Tex Creek are examples of Leo’s personal hunting knives that became TOPS models. The Camp Creek is the newest to follow that pattern. The goal with this model was to make a super high-quality hunting/camp knife using materials that are uncommon for TOPS. We chose 1/8” CPM S35VN steel for its superior edge retention and stainless properties. The handles are a 3 color Camo-style G10 that looks amazing with our finishing. It also comes in a stylish tan Kydex sheath with a brown leather dangler. It’s a Nessmuk-like design that functions superbly for hunting and skinning animals, but will also be especially handy around any campsite for processing wood and/or food prep. Of course, it will have the superior fit and finish expected of TOPS as well. All of the features of the Camp Creek combine to form one of the best hunting knives ever to grace TOPS’ lineup.